Are you searching for a natural way to clear up your sinus? We’ll show you how to make a natural sinus relief body balm that works wonders. It’s easy too! Making your own balms or salves to use in your household may seem a bit daunting at first, if you’ve never tried it. That’s why a lot of people buy a pre-made sinus relief balm instead. There are many recipes out there on the web, though, and some are much more complicated than others. If you are using dried herbs in your salves (like this Calendula Lavender Salve) rather than essential oils, they take more time and work. They also require a lot more product as well since dried herbs cost more per dose and give much less potency than an essential oil does. Using only essential oils for the scent and their therapeutic uses is cost effective. You get much more bang for your buck since a 15 mL bottle of essential oil gives you 250 drops, plus it saves you time, energy and effort. This recipe uses just a few ingredients in the base and then adds in the essential oils. It works more effectively as a topical treatment than just the oils by themselves because it stays there for a much longer time. So if you’re using a salve for a use like clearing your breathing and natural sinus relief, it works great over a longer period of time. 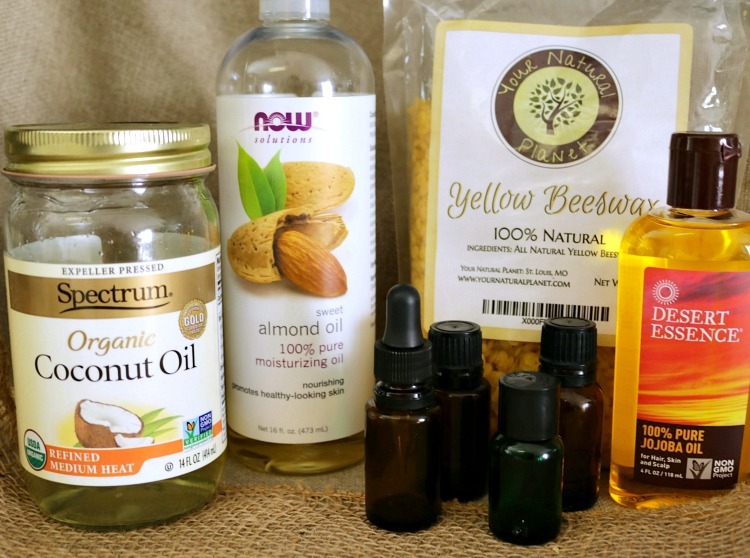 The oils used in this natural sinus relief recipe all have some wonderful benefits for your body and more than just the ones they are in this recipe for. Rosemary essential oil is great for anything related to sinuses and respiratory relief. It helps clear the sinuses and get rid of mucous while being having antibacterial properties. I love using it to increase focus and memory retention. It is easily a favorite oil for its many uses and for its aroma too. Lemon essential oil cleanses and helps open you up, and the scent is wonderful, too! It’s very uplifting, which is something we all need when we’re not feeling 100%. Eucalyptus essential oil is one you will hear in relation to anything that has to do with your breathing since it works so well for clearing your respiratory system. Just inhaling the scent right out of the bottle will give you instant relief if you are stuffy! Lastly, the lavender essential oil is added to help calm the body and mind. It’s also soothing to the skin and it does help relieve the symptoms that go with respiratory issues as well. You can never go wrong using lavender! 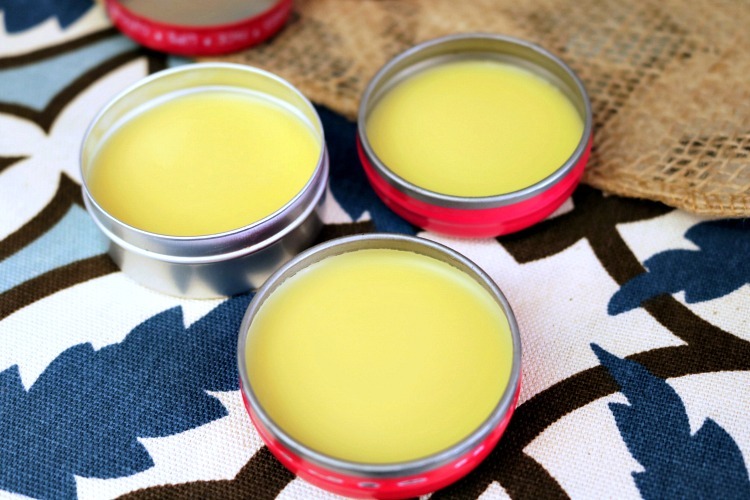 This natural sinus relief body balm recipe makes about 3 to 6 containers, but of course it depends totally on the size you’re using. 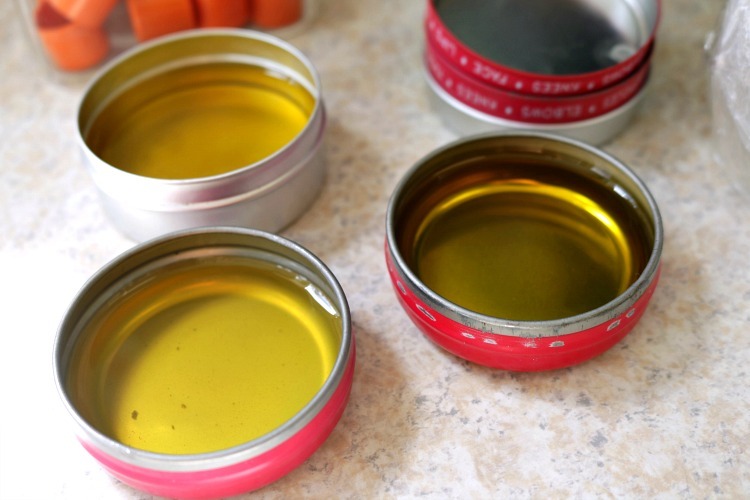 I used some upcycled balm containers I had saved from a lip balm I use, because they are nice tin, and easy to open and close. You can find smaller containers online in glass or plastic as well, but plastic is not recommended with the use of citrus essential oils as it can literally break those toxins down and then they will be in the balm itself. Yuck! Some people still choose to go with plastic though. If you do, make sure you use it quickly and keep it out of the sunlight. 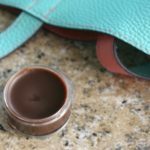 If you’d rather not make your own balm from scratch, you can also buy a pre-made sinus relief balm. Or you can buy a pre-made sinus relief balm on Amazon. To start, fill the bottom half of your double boiler’s pot to about one-half full, and place over medium high heat. Then, add your beeswax to the top half of the double boiler. Stir it occasionally to be sure the beeswax is breaking up. While the pan is heating to melt the beeswax, measure out the coconut oil and the sweet almond oil to have them all ready. It is not good to overheat the beeswax, because you want to take advantage of its great health benefits, and they will be lost if it is burned. You can also go ahead and line up the containers also and have them set to go to help with that as well. You will need to melt your beeswax until it is a clear consistency, with no lumps in it, and then you can add in the coconut oil, too, blending until there are no lumps. This only takes a minute or two. Now add the almond oil and stir in. Once these three ingredients are all blended and melted nicely, and there are no lumps or chunks left, you can go ahead and turn off the heat. Add in all of the essential oils. Carefully count each drop as you add them since some of these are runnier oils and they can run pour quickly into that pot! Mix well and then you are all ready to pour the mixture into your balm containers. Pour the mixture slowly and leave just a bit of room at the top of each container. Allow them to cool at room temperature and away from sunlight for close to an hour. Once they are completely cooled, place the lids on. Feel the bottom center of the container to see if it has cooled and if it is, you’re good to go. Now all you need is to make yourself some cute labels and you are done! They make great gifts and favors for others, too. Perfect stocking stuffers! Place a small pea sized amount on your fingers and rub onto the chest, neck or dot under the nose for natural sinus relief. The balm can also be put on the temples or the back of the neck if you are having stuffiness all over the head as well. Be sure to rub the salve in well. You can also use a warm compress over the on the chest to help boost the relief. 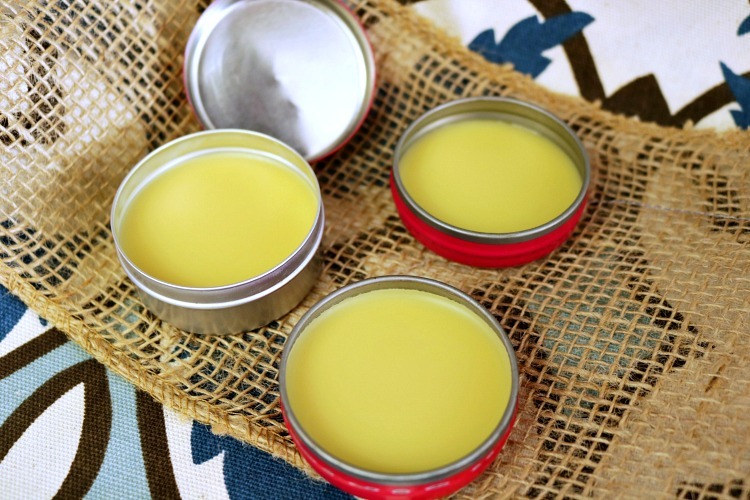 Have you ever used a homemade balm for natural sinus relief? The essential oils should be added to the mix when the temperature is under 35 deg C preferably under 35 as the oils are supposed to be always kept under 30 deg C and they start to degrade and loose their potency & therapeutic abilities if kept at temperatures higher than this! Do you sell the balm already made? I don’t care to make it myself, but would like to purchase some, as I have had lots of sinus congestion, and have tried many things. i am using peppermint essential oil now for this problem. Hi Ellen, no I don’t sell pre-made balms at this time. I hope you feel better soon! Can this balm can use for a baby under 6? A baby that’s 6 months or a child that’s 6 years? A baby, no I wouldn’t recommend that because of the eucalyptus oil. A 6-year old? That’s a personal judgement call. Some people say eucalyptus isn’t safe for kids under 10, but I used it fine with my younger kids. Very good and reliable source if it comes about EO’s. Eucalyptus is ok to use with younger children but should not be installed into nose in younger children and put on face in children younger than 10. Hope that helps. These are Tisserand’s and Young’s researches. What could I use in place of beeswax? I’m severely allergic to all bee/wasp/hornet stings and have had a bad reaction to something else that had beeswax in it. Thank you! You can try candelila wax. I haven’t worked with it, but it’s a vegan substitute for beeswax. I believe you use less of it.